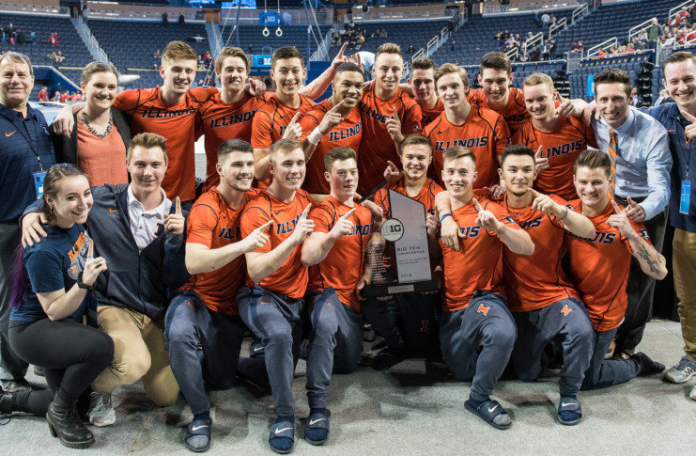 The post-season for gymnastics is upon us and the Illinois men’s gymnastics team hit a home run at the 2018 Big Ten Championships team final and won their 28th Big Ten title in program history. From the onset of the competition Illinois was poised and were determined to show the field that they are in championship form. Oklahoma claims their seventh straight conference title. Midknight Robin talks about Big Ten and Mountain Pacific Sports Federation Conference Championships. Previous articleIs Simone Biles and Stacey Ervin Jr. the cutest gymnastics couple of all-time?